Mirabel Clinic offers a comprehensive range of non-surgical and non-invasive cosmetic and aesthetic procedures, including laser treatments. Dr Brooks set up Mirabel Clinic in 2006 after completing advanced training in cosmetic injection and filler therapies at an expert training course run by a team of Consultant Plastic Surgeons. She completed her laser training in 2009. She is a member of the British College of Aesthetic Medicine and the Aesthetics Complications Experts Group. She regularly attends conferences and training updates to learn about the latest advances in cosmetic medicine and laser treatments. Dr Pippa joined us at the beginning of 2017 on Thursday afternoons. She is a fully qualified, practising GP who shadowed Dr Brooks for several months in order to learn from her vast experience. She has completed advanced training in cosmetic injection and filler therapies too. We are happy to offer 20% discount on our standard injectable prices for treatments with Dr Pippa. Our aesthetician, Helen O’Brien, has just joined us in August 2018. Helen’s areas of expertise are laser hair removal and HydraFacial treatments. She is fully qualified in these areas and attends regular training updates to keep abreast of new protocols and techniques. Helen’s passion is in all things related to caring for, improving and maintaining the best skin health possible by using appropriate clinical treatments, products and home care routines. 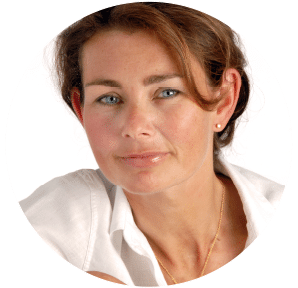 Dr Brooks and her team always offer free of charge initial consultations as they believe that it is very important to advise you on the most suitable treatments, tailored to your individual requirements, before any commitment is made by you.